GBC UltraClear Thermal Laminating Pouches, 3 mil, 9 x 14 1/2, 25/Pack - HeatSeal Laminating Pouches protect your legal-size documents. 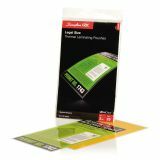 UltraClear design keeps your documents looking clean and crisp. 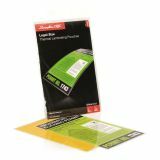 3 mil thickness is designed for occasional handling, filing or posting of menus, photos or other items that need pouch flexibility. 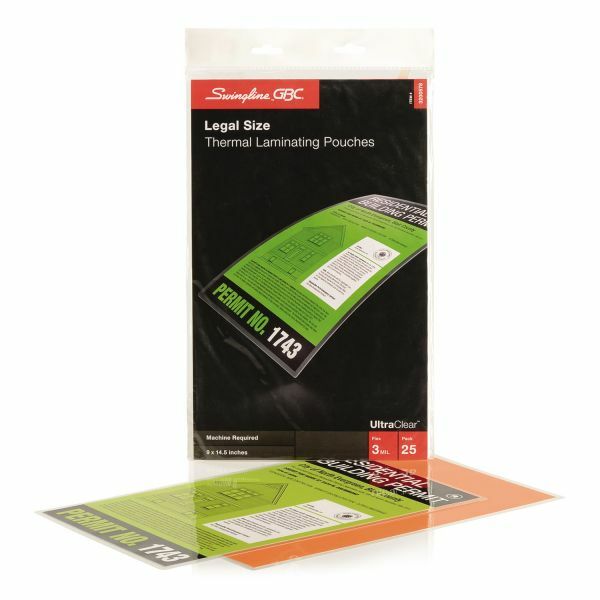 The pouch is sealed along the 9 edge and includes a nonstitched carrier."